Reserve Your Bottle Of LeptiSense NOW While Supplies Last! 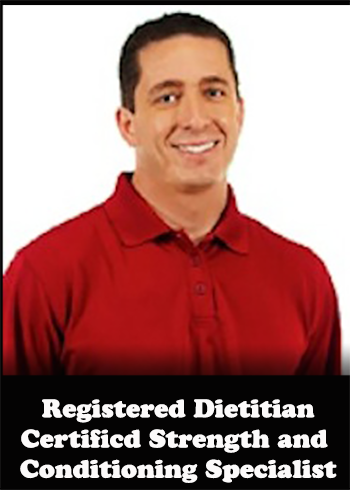 Receive instant access to Registered Dietitian Jayson Hunter's "Body Reset" Fat Loss Coaching Program as our FREE gift to you! 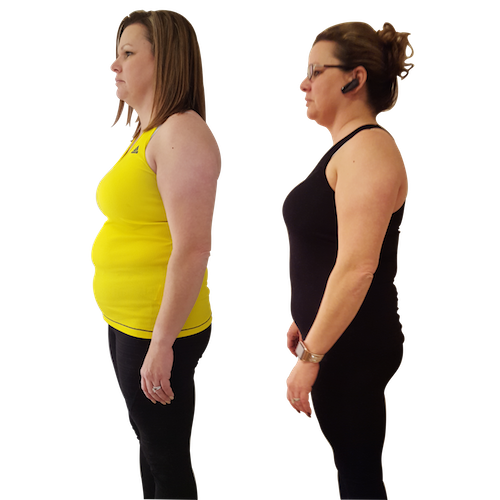 “I know you'll be absolutely delighted by the results you’ll see and feel with Leptisense. Q: What Ingredients are in LeptiSense? A: As today inventory is available and when you order now, you will instantly receive an order confirmation email. We work hard to get your order out the door and to you as quickly as possible! 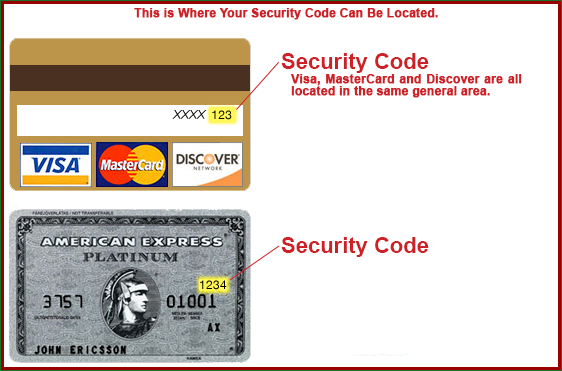 We will ship your order directly to your home or office using a carrier such as UPS and you will have it within 4 to 8 business days of placing your order. Products are shipped from St. Louis, MO, USA and we will send you a shipment notification email with tracking number as soon as your order ships so that you can track it right to your door. Q: Can I restore my metabolism through a diet or special foods? A: In short, no. If that was the case, all the diets and fitness programs attempted by millions of overweight people would work, wouldn’t it? There wouldn’t be so many stories of people who tried one diet or another and failed. And there wouldn’t be a need for the dozens and dozens of studies into the impact of leptin, cortisol, and insulin on your health … nor the studies of hormone-balancing ingredients like those found in Leptisense. Q: Can’t I just buy a less expensive form of these ingredients? 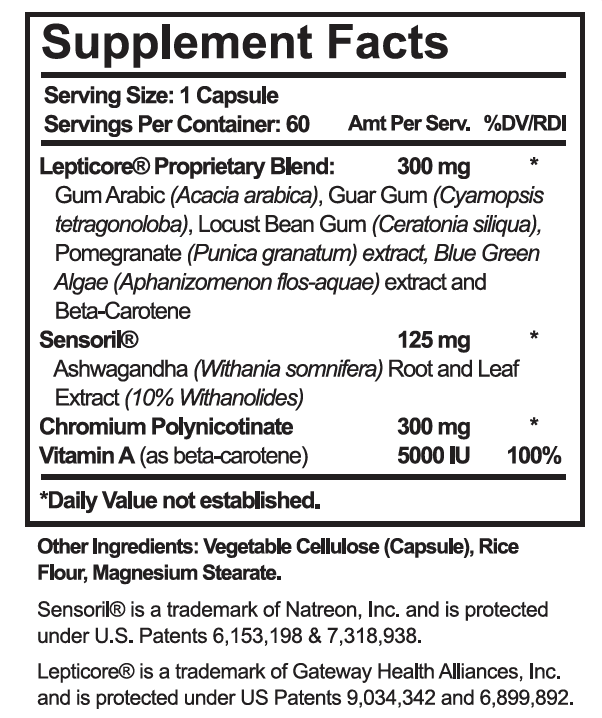 A: You’ll be able to find a less expensive form of “Indian Ginseng” found in Sensoril… but you simply cannot find a higher quality, certified potent, certified pure form found in Sensoril. And as for Lepticore with its PEA and mix of high quality, plant-based micronutrients and antioxidants? It’s only available as the proprietary, quality-ensured combination found in Leptisense. Aren’t you worth more than bottom of the barrel, expired ingredients for the sake of saving a few quarters? Isn’t your long-term savings of the costs of lifestyle health conditions worth the investment of $0.99 cents a day? Q: Can I take this while on a diet or exercise program? A: Yes! 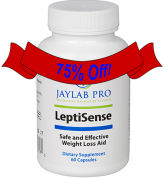 As mentioned, Leptisense enhances what you’re doing, making any diet or exercise program more effective. Which is why adding in the Body Reset program to your order today is a smart move. However, you don’t need to embark on some kind of intense program in order to get results you can see and feel. Which is what makes balancing your metabolism so incredibly powerful. Q: How soon will I feel the benefits of Leptisense? Q: What will happen if I don’t balance my hormones? A: Honestly, a lot can happen if you don’t take action today. And it’s backed by Jayson’s 60 Day 100% Money Back Guarantee.